Phoenix and surrounding cities are filled with some of the best games in town. In the Spring, you can soak up the sun while taking in a baseball game during our Cactus League Spring Training. 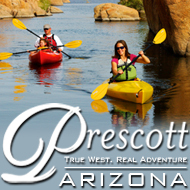 Arizona is also home of the Arizona Diamondbacks, The Phoenix Suns, the Arizona Cardinals and the Phoenix Coyotes. No matter your favorite sport, we have it all. The Apache Stronghold Golf Course offers high desert golfing at its finest. Designed by award-winning architect Tom Doak, the Stronghold has earned the honor of being named the Number One Public Golf Course in Arizona by Golf Week magazine. Take in the natural beauty of the Southwest desert as you enjoy the challenge offered by the Stronghold. Call 1-800 272-2438, option 5, for tee times. “It’s the Greatest Show on Grass!“ Join us for lot’s of gold and plenty of fun. See your favorite champions and today’s biggest stars at the 2011 Waste Management Phoenix Open January 31 – February 6, at the TPC Scottsdale, www.WMPHOENIXOPEN.com.